What product have you seen lately that lost before it even started the race? 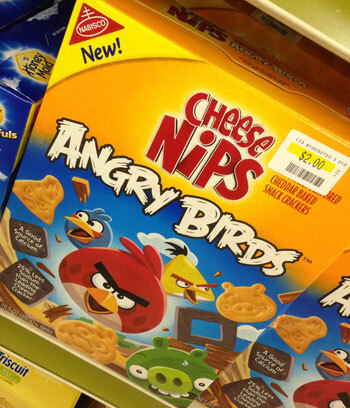 Was this pulled just because Angry Birds is passe? No way to know… Moslty, I think the tie between a small-screen game and cheese snacks is minimal, at best – and Kraft realized that. It doesn’t seem to matter whether there is an actual tie-in or not. I’ve seen Angry Birds EVERYTHING!! Food, plush toys, games, costumes – it goes on and on. Yes, it will become passe eventually, but in the meantime Rovio (the Finnish company that developed AB) is raking it in, with downloads of the various versions in the billions. Oh why couldn’t I have created Angry Birds? !